What Are Pain and Suffering Damges and How Are They Calculated in Maryland? Maryland law specifically permits the recovery of pain and suffering damages. 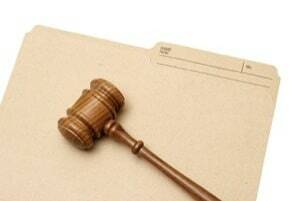 Juries are instructed in every personal injury case that damages can be awarded for this intangible injury. While pain and suffering are certainly elusive concepts, they constitute the most serious harm in any personal injury case. Pain and suffering damages go beyond the cold and calculated economic damage, like medical bills and property damage. They are the things that cannot be calculated with extreme precision, but which form the undercurrent for all tort cases where there has been mental, physical and emotional suffering. Maryland law requires that the jury "take his plaintiff as he finds her." Which means, If the defendant causes an automobile crash which requires three surgeries, then the victim's pain and suffering must be examined on an individual level. Someone else might not have the same amount of pain of suffering. At trial, the jury has to look at the plaintiff's specific situation. How did the injury impact the victim's life? That is the real question. Then the jury must put a dollar value on that sorrow and pain to make it even: to balance the scales so the victim receives an amount of money that balances the scales of justice. There is a cap on pain and suffering damages in Maryland and in many jurisdictions, particularly in malpractice claims (here you can find the caps in all 50 states). In practice, Maryland lawyers should make sure that each of these items is listed on the verdict sheet that a jury fills out (for a circuit court jury trial). This gives the jury the opportunity to think about each one individually, and to assign a value (based on the evidence, and each juror's experience and discussions with other jurors) as to each component. During the direct examination of the plaintiff and the plaintiff's family, testimony should be given on each item, if it is something that can be proven. One point not to be overlooked is physical impairment. Don Keenan and David Ball - a lawyer and a psychologist - have extensively researched these pain and suffering damages, and discovered that it is difficult for jurors to understand and to place a value on another person's pain. However, if a plaintiff's injury caused him to be unable to drive for a week, a month or a year, that is something that people can relate to because it is a more concrete example. Jurors presented with that evidence tend to give higher verdicts. It is important for trial attorneys to keep this in mind when trying to convey to a jury what really happened to their client. Our motor vehicle crash and malpractice lawyers handle personal injury accident and malpractice cases in Maryland. If you or a loved one has suffered a serious personal injury as the result of the negligence of someone else, call our personal injury lawyers at 800-553-8082 or get a free online consultation.